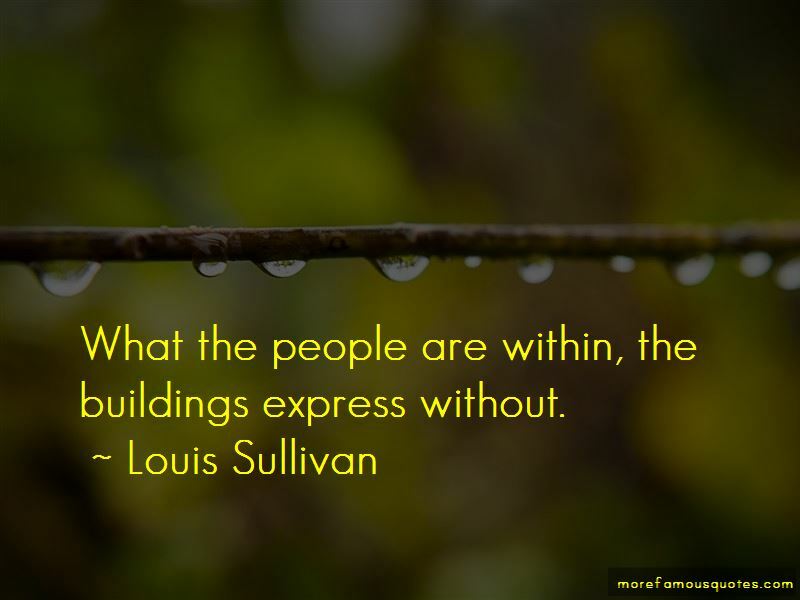 Enjoy the top 27 famous quotes, sayings and quotations by Louis Sullivan. Alas, the world has never known a sound social fabric, a fabric sound and clean to the core and kindly. For it has ever turned its back on Man. If with open mind one reads and observes industriously and long; if in so doing one covers a wide field and so covering reflects in terms of realism, he is likely, soon or late, to be brought to a sudden consciousness that Man is an unknown quantity and his existence unsuspected. 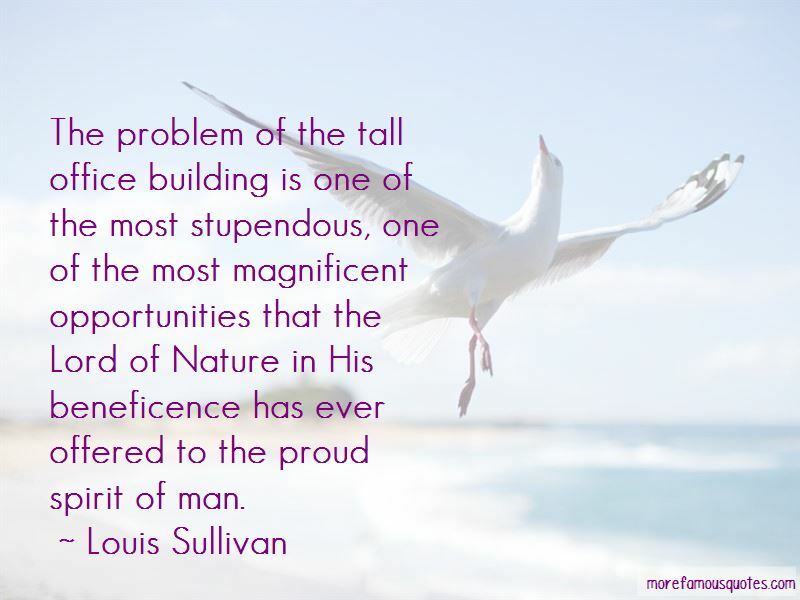 It was the spirit animating the mass and flowing from it, and it expressed the individuality of the building. To teach is to touch the heart and impel it to action. An art of expression should begin with childhood, and the lucid use of one's mother tongue should be typical of that art. The sense of reality should be strengthened from the beginning, yet by no means at the cost of those lofty illusions we call patriotism, veneration, love. 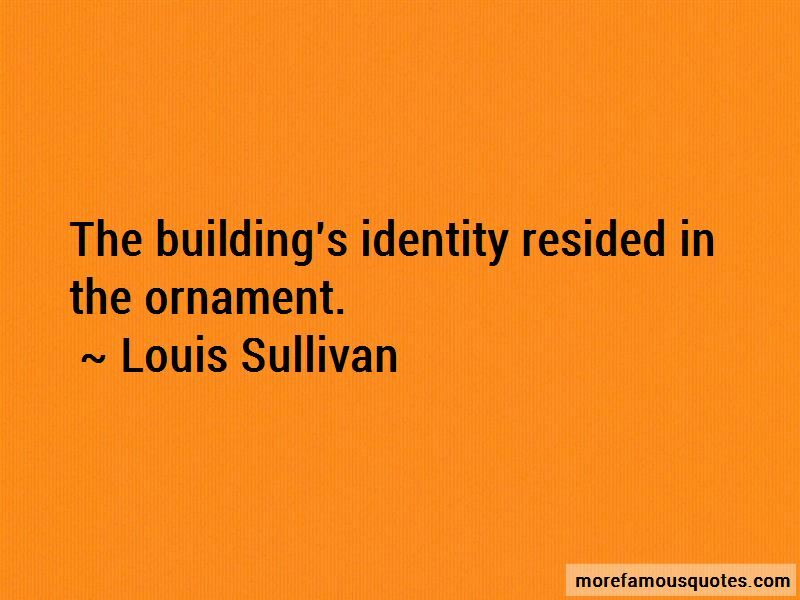 Want to see more pictures of Louis Sullivan quotes? 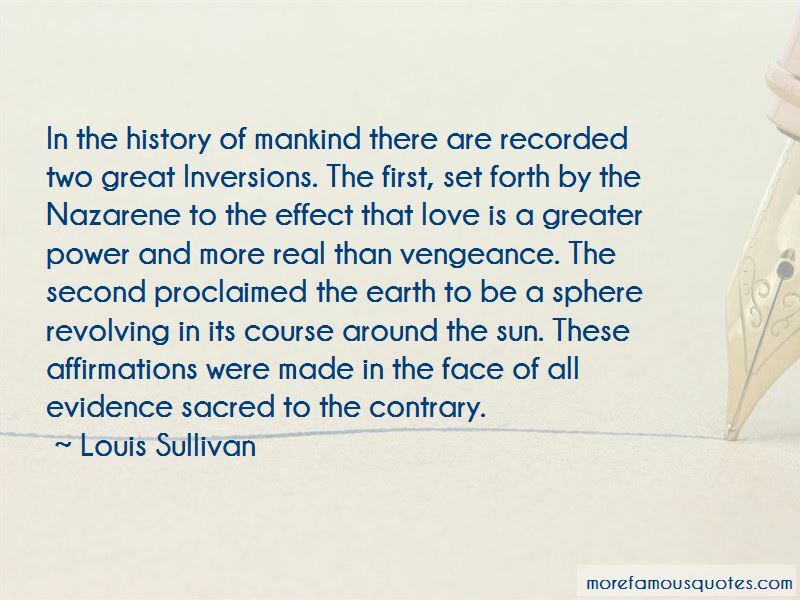 Click on image of Louis Sullivan quotes to view full size.